Like all other types of mattresses, coconut fibre mattresses also have their pros and cons but before discussing them, let us know what coconut fibre mattresses are. Coconut fibre mattresses are made of fibres of coir which is a natural fibre obtained from coconut husk and this is for what these mattresses are hard. 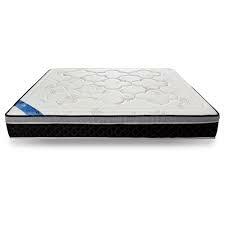 Majority of people do not like to put into use these types of mattresses because of their hardness. But these mattresses actually provide a lot of benefits to your health. Hygroscopic quality: it is that quality which makes the mattress able to make to you restful and provide a refreshing sleep. Coconut fibre mattresses are made of such quality which can easily absorb moisture that will in turn make your sleep a comfortable one. Perfect ventilation: these mattresses are very well ventilated as there is maximum air flow in and out. This makes the mattress very cool. Besides maintaining an ideal temperature for you to sleep, it naturally calms down your body to have a better sleep. Additional support: as the coir mattresses are made of natural fibres only, they are springy naturally, thus provides more support to the whole body of the sleeper. With support from coir mattresses, people lying down at back would be more advantageous for getting a perfect posture to sleep as well as align the spine perfectly. Recommended for those having allergies: there is nothing like dust in these mattresses which could irritate the sleepers especially to those who are more prone to allergies due to dust. Cooling sensation: coconut fibre mattresses have moisture absorbing ability and promote continuous airflow to create a perfect temperature for sleep. Most of the moisture is absorbed by the mattress itself. Cons of coconut fibre mattress: besides the advantages, there are some disadvantages of coconut fibre mattresses. They are firm: if you are such a person who like to sleep at a luxurious and soft surface and do not want a hard surface to sleep, then these mattresses are not an option for you. Increases pressure points: pressure pints instead of decreasing get increased with these mattresses, so you may wake up with body pains especially in back and shoulders. Uncomfortable for many people: if you are not in habit of sleeping at a hard surface or have never slept before on such surface, you will definitely find problem in sleeping over it as the materials used in its manufacturing is not at all soft. Prone to sagging: coconut fibre mattresses easily get slumped or may have depressions with back pressure where you sleep with time. Once it gets compressed, you cannot pull it back. Not durable: as these mattresses do not get back into their original shape after getting depressed, they could only last for a small duration, especially if they do not contain any other material in its manufacturing.